On Monday, the rupee signed off the last trading session of 2018 with 18 paise gains at 69.77 per dollar. Rupee has rallied by a hefty 92 paise in the last three trading sessions. 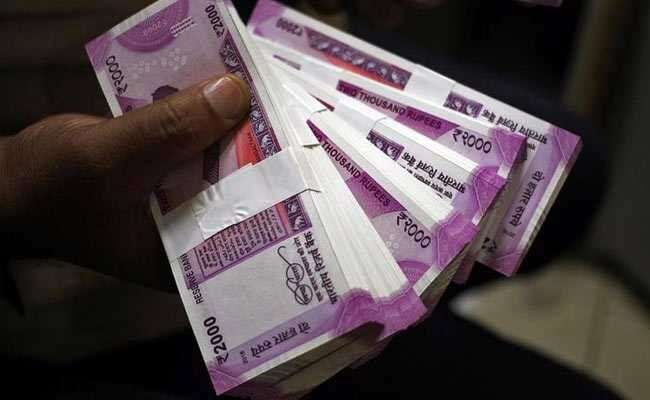 The rupee kicked off 2019 on a resounding note, building up on gains of the previous two sessions and adding another 34 paise on Tuesday to close at 69.43 against the US dollar on increased selling of the greenback by exporters and smart gains in domestic equities. The domestic unit has rallied by a hefty 92 paise in the last three trading sessions. Traders said sustained selling of the American currency by exporters and banks propped up the rupee. At the Interbank Foreign Exchange (forex), the rupee opened on a firm note at 69.63. It gained further to hit a high of 69.43 following dollar selling by exporters, before finally closing at 69.43, up 34 paise. However, the domestic currency clocked a 9.23 per cent fall in 2018. On year-over-year basis, the rupee depreciated by a whopping 509 paise, or 9.23 per cent, as compared to 2017-end level of 63.87. Domestic brokerage firm Kotak Institutional Equities in a research report said that the year 2019 seems to be a better starting point in terms of valuation, currency. "The INR (rupee) seems to be fairly valued; we see mild depreciation in 2019 compared to the sharp correction that it saw in 2018," the report said. Traders said, a positive trend in the domestic equities also supported the local unit. Domestic stock markets started the year on a positive note, with BSE benchmark Sensex rising over 186 points on Tuesday. The 30-share BSE Sensex closed at 36,254.57, rising 186.24 points or 0.52 per cent. Similarly, the NSE Nifty ended at 10,910.10, gaining 47.55 points or 0.44 per cent. Meanwhile, foreign funds pulled out Rs 326.87 crore from the capital markets on a net basis, while domestic institutional investors bought shares worth Rs 321.98 crore Monday, provisional data showed. The dollar index was trading down by 0.31 per cent at 95.87 against a basket of six currencies in the late afternoon trade. The Financial Benchmark India Private Ltd (FBIL) set the reference rate for the rupee/dollar at 69.7131 and for rupee/euro at 79.9330. The reference rate for rupee/British pound was fixed at 88.9748 and for rupee/100 Japanese yen at 63.57.